Grasshopper offers virtual phone services geared towards helping small businesses and entrepreneurs establish a more professional demeanor. 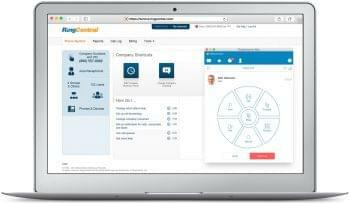 Separate from this, Ringio works as a cloud-based virtual PBX (with built in CRM integrations) that looks to improve small and medium sized businesses’ customer interactions. Though these two objectives have some similarities, both companies utilize different means to meet their ends; therefore, it shouldn’t be all too surprising to see differences in the method and approach of both Grasshopper and Ringio. For example, Ringio is more focused on improving customer interactions; therefore, they include a host of CRM (Customer Relationship Management) integrations. Inversely, Grasshopper is more geared towards images, which is again reflected through their amenities (custom greeting, on hold music, conference calling, etc.). While there are aspects of both services that overlap, these providers ultimately cater to different needs. Wide selection of Toll Free and Local Numbers, or users can bring their own. Grasshopper hosts a number of different plans, which include different offerings. The Pay As You Go plan ($12 per month/line, 6¢ per minute) comes with 0 included minutes, 1 Toll Free/Local Number, Unlimited Extensions, and every included feature. The Ramp plan ($24 per month/line) includes 500 minutes (per month), 1 Toll Free/Local Number, Unlimited Extensions, and every included feature. The Grow Plan ($49 per month/line) includes 2,000 minutes (per month), 2 Toll Free/Local Numbers, Unlimited Extensions, and every included feature. Lastly, the Max plan ($199 per month/line) includes 10,000 minutes (per month), 3 Toll Free/Local Numbers, Unlimited Extensions, Unlimited Voice Studio, and every included feature. With extensive options, Grasshopper is able to better fit the needs of users. Opposite this, Ringio, a hosted PBX service provider, runs on a flat-fee model for unlimited local minutes (per user basis). At $25 per month/per user (minimum of 2 users), Ringio includes unlimited phone use with a local company phone number, 1 Toll Free or Local number (for the company), 1 optional additional local number for each user, PBX mobile apps, and a full host of features. This pricing model is much better suited for businesses with higher traffic as users don’t pay per minute or have a set number of included minutes. Inversely, this flat-fee model lacks the flexibility that some users may be looking for. Grasshopper’s service is not intended to replace one’s entire phone system. Instead, it is designed to enhance one’s already existing phone service. That being said, user’s can NOT make outgoing calls, they will need both the system they’re currently using in addition to the Grasshopper phone system. On the other hand, Ringio does NOT require users to have a phone system, just a phone for each user; however, if a user already has a system such as PBX or Hosted VoIP, Ringio can work to supplement that system. 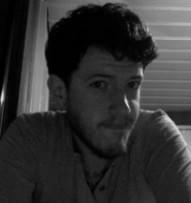 In regards to features, both providers overlap in some areas; however, they are ultimately distinct. For example, both services are priced on a month to month basis per user; however, Ringio requires a 2 user minimum. Another example can be seen with both fax services. Grasshopper’s Fax (and Voicemail) delivery enables faxes to be sent via email as PDF attachments. Additionally, the Fax on Demand service allows users to create a library of forms and documents (product sheets, maps, order forms, etc.) callers can access on demand, 24/7. Ringio’s Internet Fax service works similarly; however, it’s much more basic. As such, the service fits users with a local number in which callers can send faxes to be delivered via email as PDF attachments. Additionally, Ringio’s fax service is an add-on at $10 per month. Aside from feature, Grasshopper also includes 24/7 US phone support. Inversely, Ringio offers M-F 9am-6pm EST. phone support and 24/7 online support. All variances in shared features aside, both providers include services the other does not. Ringio, for example, has a Softphone—i.e. Desktop Phone, which can track, route, and manage calls directly from one’s computer (desktop). As such, users can view/manage contacts, caller IDs when making outgoing calls, check in/out/do not disturb, and much more. Ringio also offers Call Grouping/ Simultaneous Ringing and Group Paging through Call Blast by department (simultaneously rings all users in dep. ), Escalating routing (rings first on list not on phone then so on), or Round Robin (evenly distributes calls among users in group). Users can also utilize Shared Team Numbers, where more than one phone number reaches the same group of people. As stated above, Ringio is more about facilitating more thorough customer management. In doing so, Ringio aims to connect users’ phone systems with almost any CRM, SaaS, or Contact Management solution available. As such, service includes a number of built in integrations including Batchbook CRM Plugin, Call Reporting and Tracking, Highrise CRM Plugin, Pre-Built CRM Integrations within users’ phones, REST API, Salesforce CRM Plugin, Web Triggers, Wufoo Integration, and Zoho CRM Plugin. These integrations range a number of different functionalities including sales, marketing, consulting, customer service, social networking, etc. 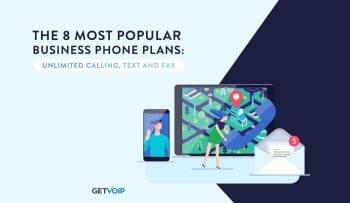 Separate from these offerings, Grasshopper includes two main offerings not available with Ringio—Conference Calling and Metered plans. Conference calling can connect multiple callers in on one conversation, which can help streamline productivity and efficiency with customer service, production, and more. Additionally, while metered plans may not sound all that enticing, they can provide users with greater cost efficiency—i.e. users pay only for what they use. 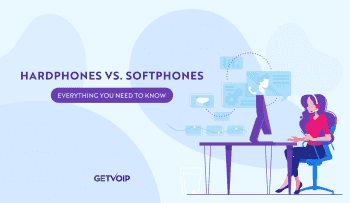 The Bottom Line: The differences between these two providers and services ultimately serve to better flesh out how business VoIP can be utilized. As such, Ringio is extensive, but it’s more geared towards customer interactions. As such, it doesn’t offer the same aesthetic as their competitors with their services. Grasshopper on the other hand, is a good tool to supplement an existing service. If users are looking for a service to fully replace their current system with a focus on customer interaction, Ringio may be the way to go; however, if one is looking to supplement their small business with full feature and a more professional aesthetic, Grasshopper is the clear choice.